This is one of my favorite treats. So easy. So flexible. And so delicious. I call it mango sorbet but I am not sure if that's accurate as I often add dairy. Sometimes I add coconut milk/cream, depending on what I have on had at any given moment. But either way, it's probably not a true sorbet. 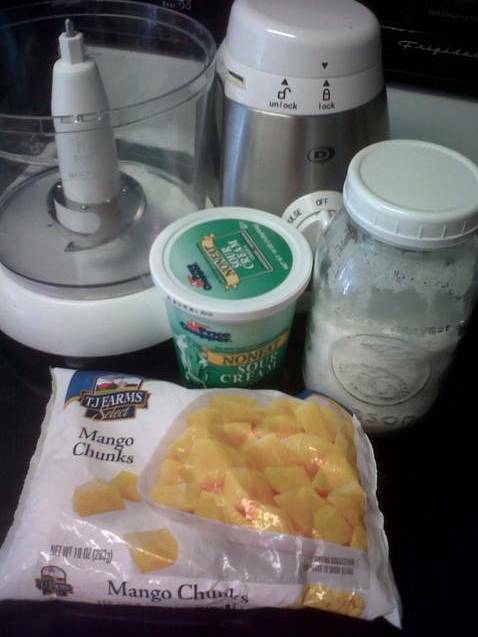 * Add mango and sour cream into food processor. 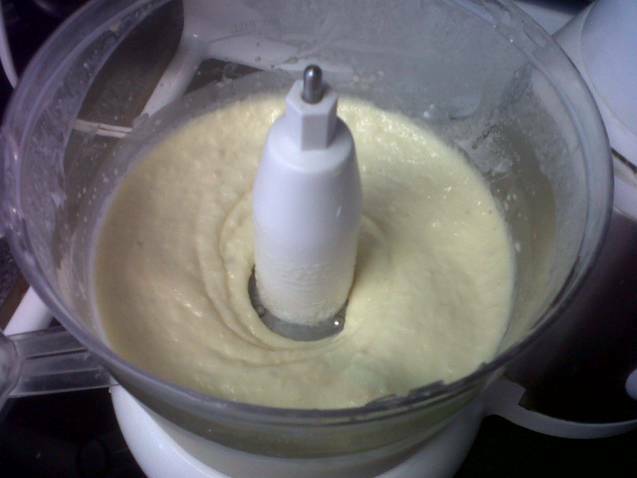 Whiz until it turns creamy. * Taste to decide how much sweetener to add. Frozen fruit can vary in sweetness. Sometimes I add nothing and others I need to add a few tablespoons. Whiz to combine well. * Serve immediately or keep in freezer. If you keep it in the freezer, let it warm up a bit on the counter before you serve it as it will harden in the freezer.